One of the most often asked questions when starting out in Long Range shooting is “how do I hand load precision ammunition”. This online course will give you a detailed understanding of the different techniques to build either basic ammunition or full competition style precision hand loaded ammunition. The course contains details on how ammunition is made, from experts, including tips and advice on everything from caliber to equipment and techniques. All the jargon explained in simple language, including advanced topics like neck tension, headspace, and COAL. 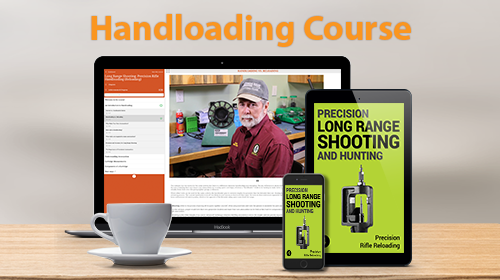 This resource is focused on Long Range precision handloading to give the shooter the most accurate precision setup. 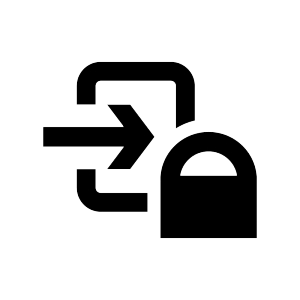 Get started within minutes, risk-free. Novice or experienced, the knowledge in this course will help you increase your ability to consistently achieve long range success. The subscriber can access the course 24x7x365. Access the course on your phone, tablet or PC. The course will adapt to your screen size. Find all your courses in your library. Search through content or use the simple navigation. We track your progress so you don't waste time going over old content. Follow your progress and get achievements as you progress to help keep you motivated! Ask our friendly team for support or advice. Online training in the comfort of your home, office or on your commute can accommodate your time and learning style. Everyone learns at different speeds, this can be embarrassing at an an site course with 20 other people. No need to go faster or slower to match others, or conform to the instructors fixed training schedule - learn at your own pace and on your own schedule. Once you have everything down, you can go to a class or the range and be confident in your ability.